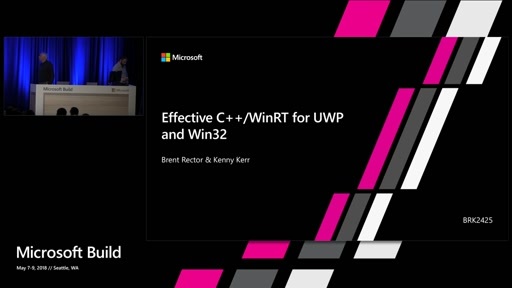 Many Windows Runtime APIs were designed during the course of Windows 8, and many lessons were learned during this process. Come learn what challenges the designers of the Windows Runtime APIs encountered, how they solved the problems and why they chose the selected resolutions. After this talk, you will be able to incorporate this guidance into your own API designs to make APIs that are simple to use, easy to maintain and a joy to program against. This session is really valuable ! 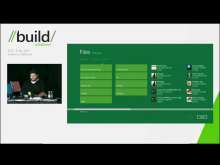 FYI for those searching for "Lessons learned when designing the Windows RT". The session was originally titled that, but was then renamed to the new title. 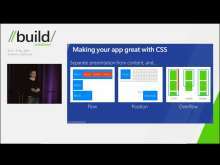 I really enjoyed this talk, interesting just how much work goes into simplicity! I loved this talk, looking forward to reading the book too. Kudos for going asynchronous for api functions.